Mortgage Fraud is a Serious Offense – Could YOU be Guilty? Mortgage Fraud is a growing concern for law enforcement, as it climbed 12.4% year over year in the second quarter of 2018. 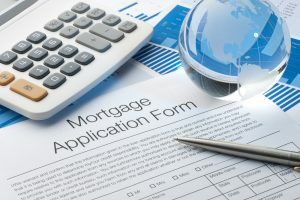 CoreLogic reported that about one of every 109 mortgage applications now contains some kind of false or misleading information. Considering that the punishment can result in up to 30 years in federal prison and up to $1 million in fines, this is a staggering revelation. Mortgage fraud may be for profit or for housing, but either way it is illegal. The most severe penalties go to executives who securitized mortgage-backed investments, real estate practitioners, and loan officers who encouraged or helped perpetuate fraud. However, home buyers who engage in fraud either willingly or without their knowledge, also put themselves in danger of prosecution. How can a home buyer engage in mortgage fraud? This is a valid question, since lenders scrutinize a borrower’s credit, employment, bank accounts, etc. before granting a loan. As you might assume, some types of fraud rely on cooperation from other individuals. In some cases, more than one type of fraud is perpetuated. For instance, to commit Income Fraud, someone else must verify income that doesn’t exist. Some borrowers do create bogus self-employment information, but this requires an investment of time and money as well as deceit. Lenders typically want to see 2 years of income tax returns to verify self-employment income. Occupancy fraud is easier, as the borrower simply needs to state that this will be a primary or secondary residence. If borrowing for investment property, he might need cooperation from someone who is willing to sign a fraudulent lease agreement. Occupancy fraud could also involve the use of a “Straw man” buyer. Undisclosed debt could be in the form of a personal note between friends, relatives, or the borrower and seller or real estate agent. It could also be an unreported real estate transaction between private parties. Private lenders don’t often pay the fees to report to the credit bureaus. Transaction fraud could include anything from an undisclosed agreement between the parties, a non-arms-length transaction, use of a straw buyer, or falsified down payments. A personal loan for the down payment, for instance, might be disguised as the legitimate sale of personal property. Property fraud involves misrepresenting information about the property or its value. While this might be made more difficult since appraisers are chosen at random by the lender, it would not prevent an apartment owner from falsifying rental income in order to make the property more attractive to a lender. Identity fraud occurs when an applicant uses a false identity or alters his or her identity or credit history. Considering the inventiveness shown by those perpetuating scams, these are but a few of the ways that borrowers and professionals involved in the real estate industry can commit fraud. To see a partial list of cases that resulted in Federal charges/penalties, visit https://www.fbi.gov/investigate/white-collar-crime/mortgage-fraud/financial-institutionmortgage-fraud-news. Avoiding mortgage fraud may seem simple – all you have to do is tell the truth on your loan application. However, some borrowers have been led into fraud by real estate agents or loan officers who assured them that it was fine to lie a little. For instance, they might be encouraged to state that they gave the agent cash earnest money to be applied to the loan, when in fact it was a promissory note. Some borrowers have been involved without their knowledge. How? By failing to carefully read the documents they signed and failing to make sure that every blank was filled out – and filled out accurately. When you want to purchase or refinance a home, call on the Mike Clover Group at Homewood Mortgage. We’ll get you pre-approved using honest numbers, so you need never fear being caught in mortgage fraud. We’re known in Texas for our sterling reputation, friendly service, low fees, and fast closings, so get in touch today.